Aspirus MedEvac medical transportation service provides 24-hour emergency air and ground medical transport for critically ill and injured individuals of North Central Wisconsin and Upper Michigan. We are dedicated to providing the highest standard of care and safety to our patients. The specially-equipped MedEvac helicopter can pick up patients from regional hospitals or directly from the scene of an emergency. MedEvac air is staffed with a pilot, a Flight Nurse and a Flight Paramedic and is capable of transporting one patient. 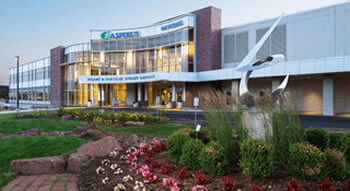 Aspirus MedEvac also operates critical care ground transfer ambulances from Wisconsin ground bases in Weston, Stevens Point, Wisconsin Rapids, Medford, Crandon and Upper Michigan bases in Watersmeet, Ontonagon and Crystal Falls. In addition to the Critical care Ground Transports, Aspirus MedEvac also provides 911 coverage for Iron County MI and Watersmeet MI.The ground units are staffed with Critical Care Paramedics, Registered Nurses and EMTs. Aspirus MedEvac also participates in the ALS intercept service. When needed, MedEvac can provide intercepts for area Basic Life Support agencies. The MedEvac crews work closely with the MedEvac Medical Director to determine critical care procedures, approve new medications and treatment options, and review the latest flight-worthy equipment to ensure each patient is receiving the highest quality care. To arrange ground or air transportation call: 800-888-8056. For intercepts, call 911. MedEvac helicopter services are operated by PHI Air Medical.